You probably don't want to hear me say once again how much I love firing up the grill. So, I won't. Instead, I'll share some must-have tools and gadgets for those who use their grills as much as we do in my house; specifically OXO brand tools. I did receive these tools at no charge, but that doesn't influence my thoughts on them. I was using and loving OXO for many years before I even started food blogging, so please trust that all opinions I share are truly my own. 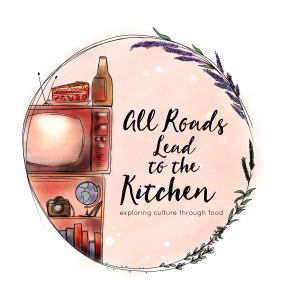 I want to start by sharing one tool that I have always wanted in my own kitchen. I've mentioned it before numerous times: a meat tenderizer. When we buy skirt steak (which is often), we always ask the butcher to "run it through the machine". That machine would be a small conveyer with numerous tiny and ridiculously sharp blades that pierce the meat as it goes through. 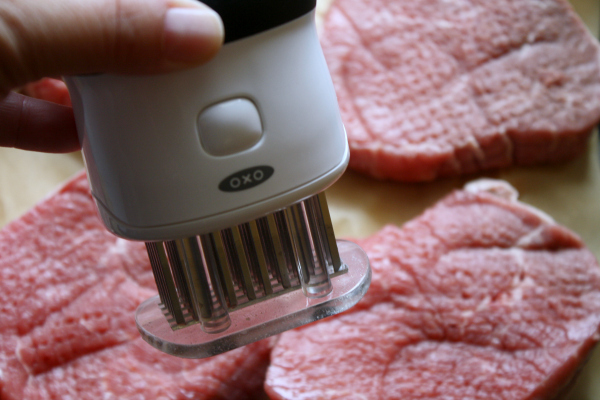 OXO's Bladed Meat Tenderizer is a smaller, handheld version that actually fits in my kitchen. It has 50 sharp and durable blades that create air pockets in the meat. This helps to tenderizer less expensive cuts, and reduces both marinating and cooking time. It has a non-slip grip and the blades lock in place for safety. So, in choosing some steaks adorn my salad today, instead of choosing one of my favorite break-the-bank cuts like tenderloin or NY Strip, I chose Eye of Round steaks, instead. They don't have much marbling, so they benefit greatly from help in the tenderizing and marinating department. Up next, let's talk OXO Corn Stripper. I've reviewed a corn stripper before. I liked it, it worked well. But this one just blew that one out of the water. It's easy to use, it slides through corn like butter, and it has a little container to hold the corn as it's stripped. Some kernels do try to escape through the bottom, though, so I still recommend stripping over a bowl. But it makes incredibly easy work of it. 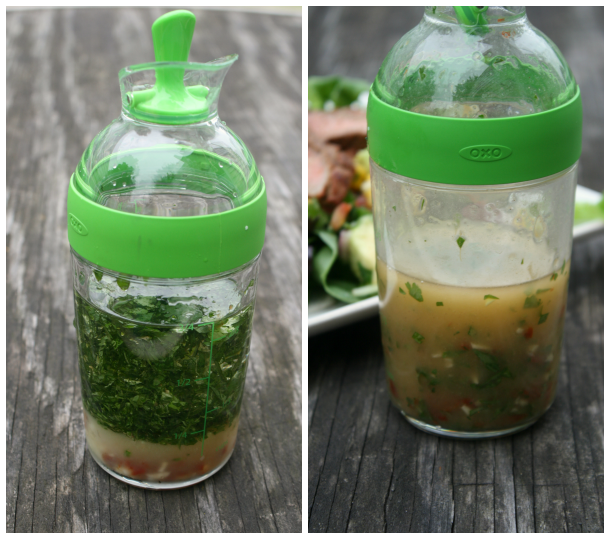 Everybody who has seen the OXO Little Salad Dressing Shaker gives a little "aaawwww". It is cute, but it also works. It's simple, just throw your dressing or marinade ingredients in, screw on the lid, and shake it up. It's airtight, watertight, and has a leakproof seal. Once you've combined your ingredients, just flip the little seal at the top, and you can pour right from the shaker. This will get a lot of use in my house. If you don't believe me, look back pretty much any of my recipes that call for a salad dressing. 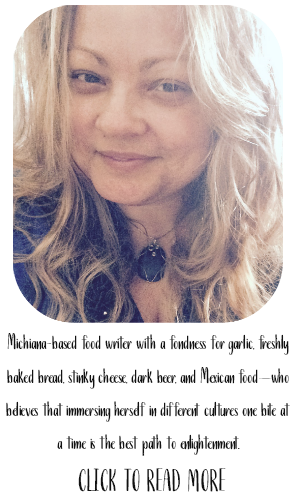 I'm a big believer in the combine-it-all-in-a-jar-and-shake method. Okay, so all three of tools are awesome and will get plenty of use. But my two favorite tools are probably the most basic tools of them all. Ones that I'm always reaching for - year round. The first is the OXO Silicone Baking Brush. I already own a "regular" size version. I use it in the kitchen for brushing marinade on a roasting bird, ham, or other type of meat. I love the way the holes or gaps in the center bristles hold liquids, making it easy to transfer them for easy spreading. I've even used the smaller one when basting on the grill, but I'll admit that it wasn't ideal, as it gets HOT over the grill. But OXO also has a silicone baking brush with a LONG HANDLE, and it's heat resistant up to 600° F! It's absolutely perfect for the grill. 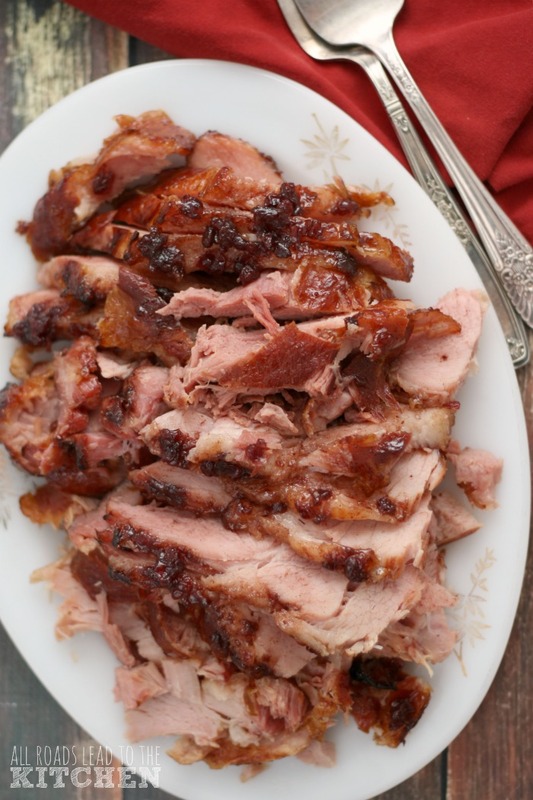 I've used it to baste barbecue ribs, chops, and my char siu duck (post coming soon), without having to pull back my hands in haste after a brushing or two. It is an indispensible part of my cooking and grilling arsenal. And last, but definitely not least, is a tool so basic that it may not even pop into your head when you think "cool kitchen tools". Tongs. OXO 16" Tongs, to be exact. I have numerous tongs, with handles in different lengths, but the 16" tongs are my favorite for grilling. They allow for easy flipping and turning - again, without the loss of arm hair. Like all of OXO's tongs, they lock closed for easy storage, and they have non-slip handles and comfy thumb rests. 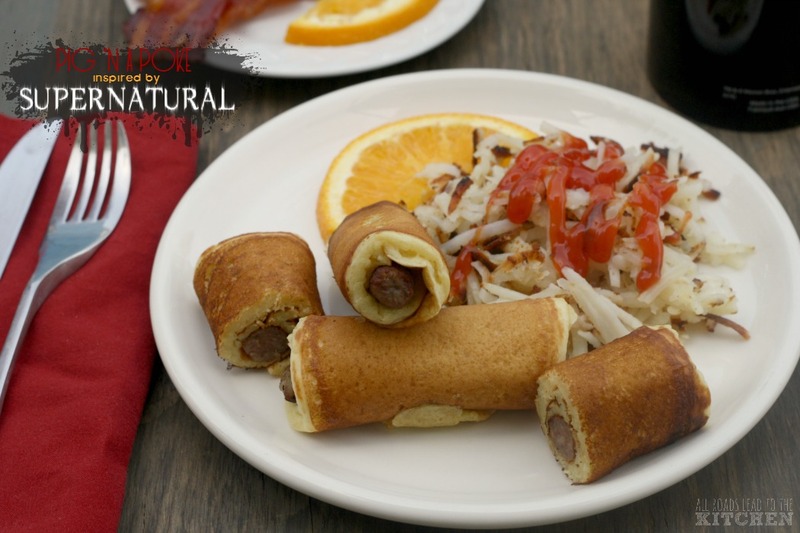 So, now that you've heard my take on these handy kitchen/grilling tools, how 'bout we talk about this dish that I made with their help. It's salad. What!? Salad? 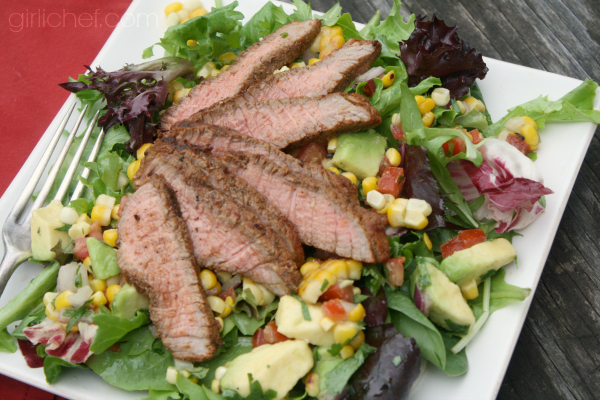 Yes, but a salad topped with both steak and corn that were prepared on the grill. In other words, a salad-as-a-meal salad. My favorite kind. After piercing my "inexpensive" cut of meat with the bladed tenderizer, I marinated it for a couple hours in some flavors of the southwest. Sweet corn on the cob is grilled, and then stripped and made into a salsa of sorts. Basically, it's cool, crisp, and fresh meets meaty and lightly charred. 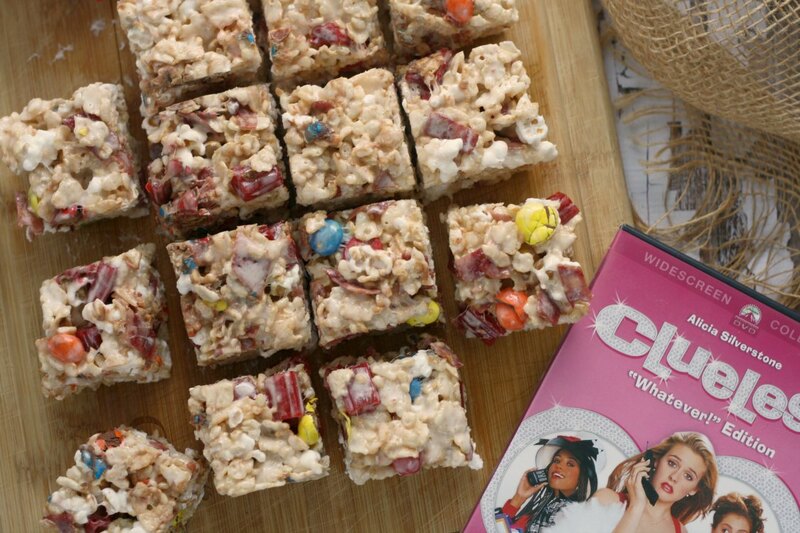 Otherwise known as a match made in heaven. So tell me, have you tried any of these OXO tools, either in your kitchen or outside at your grill? Maybe you have another grill tool that you find essential to your personal arsenal - what is it!? We still have a couple of good grilling months left (though you may know that I also like to grill when the snow is falling). One can never have too many good tools in their work belt! 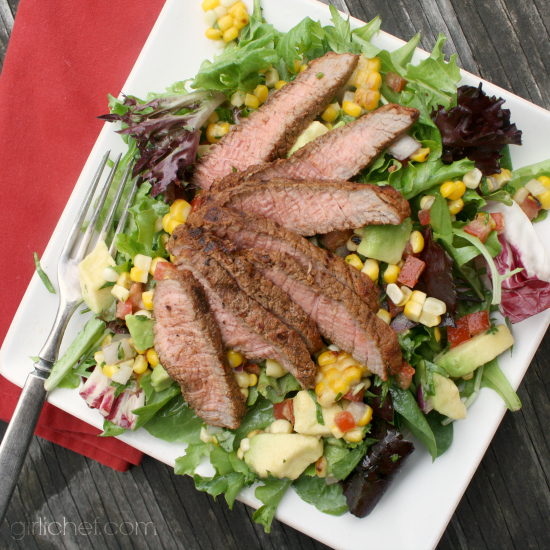 Grilled steak and corn atop a crisp, cool salad with flavor accents of the Southwest. Use a bladed meat tenderizer to generously pierce both sides of each steak (this allows you to use a less tender, less expensive cut of meat and still get tender results). Combine remaining ingredients (except salt) and spread over steaks. 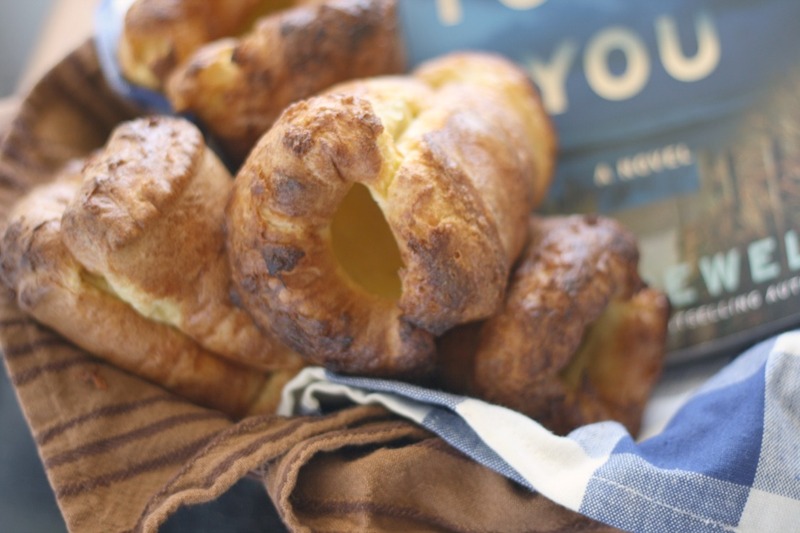 Place them in a gallon-sized zippered baggie and refrigerate for 2-6 hours. Heat a grill (charcoal or gas) to medium-high. Sprinkle steak with salt on both sides, then grill until done to your liking, using tongs to turn (and remove). Remove and let rest for 5 minutes. Slice into 1/4" thick slices. 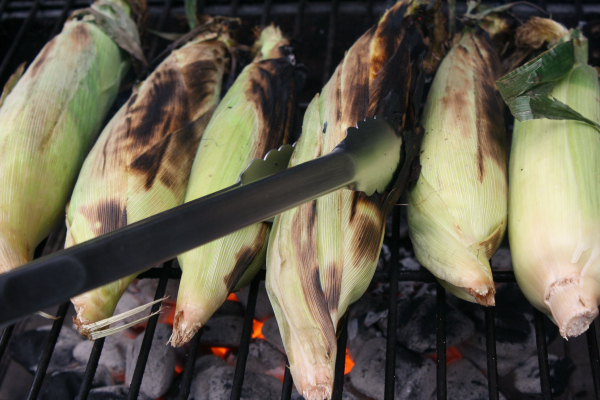 Place the corn (in or out of husk) on a hot grill and grill until just tender. Use tongs to turn. Remove to a tray when finished, and rip off the husk and any threads that didn't burn off. 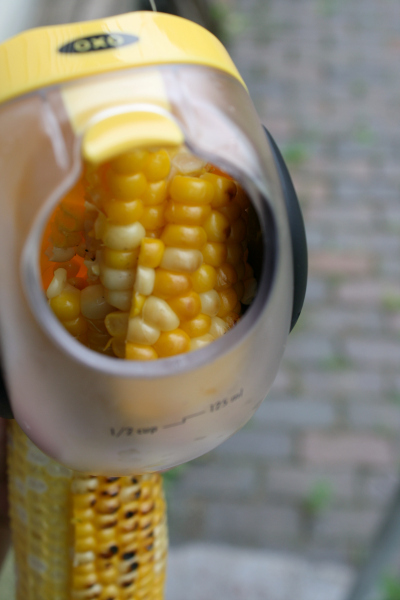 Use a knife or corn stripper to strip the corn from the cob. Combine corn kernels with the remaining ingredients in a bowl. Place all of the ingredients in a shaker or jar and shake well to combine. Add avocado and 2 tablespoons dressing to salsa and mix. Season to taste with salt and pepper. Place greens in large bowl and toss with just enough dressing to coat. Divide lightly dressed greens equally among 6 plates. 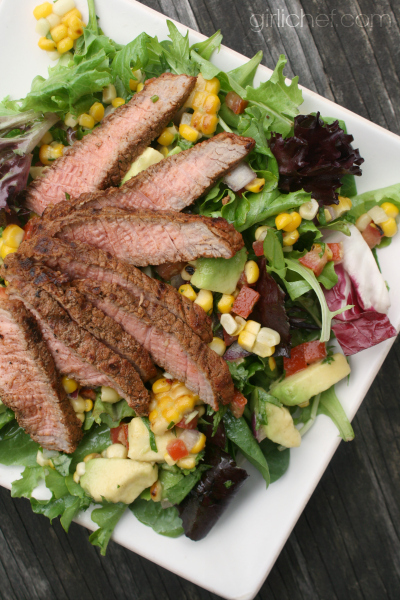 Top each salad with about a 1/2 cup of the corn salsa and a sixth of the sliced steak. Pass the remaining dressing for people to add more, as they like. 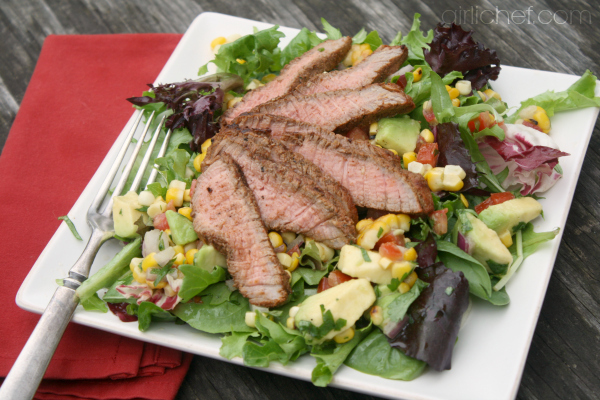 I used Eye of Round steaks in this salad, because I wanted to use my meat tenderizer. And while I recommend purchasing a Bladed Meat Tenderizer for your own kitchen, if you don't have one and want to make the salad, you might consider using a tender (and yes, more expensive) cut of meat such as tenderloin or NY Strip. I received an OXO summer grilling tools package at no charge for the purpose of testing and creating delicious recipes. All opinions stated in this post are my own.